Dickie’s unobtrusive dormer window – no planning permission required? Richard “The Builder” Fear, Service Manager (Property) Assets at Bristol City Council, characterises the new breed of smarmy, arrogant, overpaid oafs running our council these days. For some reason Rich the Builder has decided to install an “upscale dormer window” at his poncy period gaff in Haverstock Road in upmarket Knowle without bothering to apply for planning permission! Does this member of Royal Institution of Chartered Surveyors and leading council property “expert”, struggling to get by on about £60k a year, think that planning permission is only for the little people? Should Fear’s retrospective planning bid fail – as it should – then he’ll have to pull the whole thing down. If it succeeds then Bristol City Council will be having to explain away another conflict of interest from this senior property boss. Because we also note that Rich the Builder ran his own business – ‘Corporate Property Insight Ltd’ – from his Haverstock Road address between 2013 and 2015 while he was a senior employee of the city council making major decisions about our property assets. How many conflicts of interest is one council boss allowed? 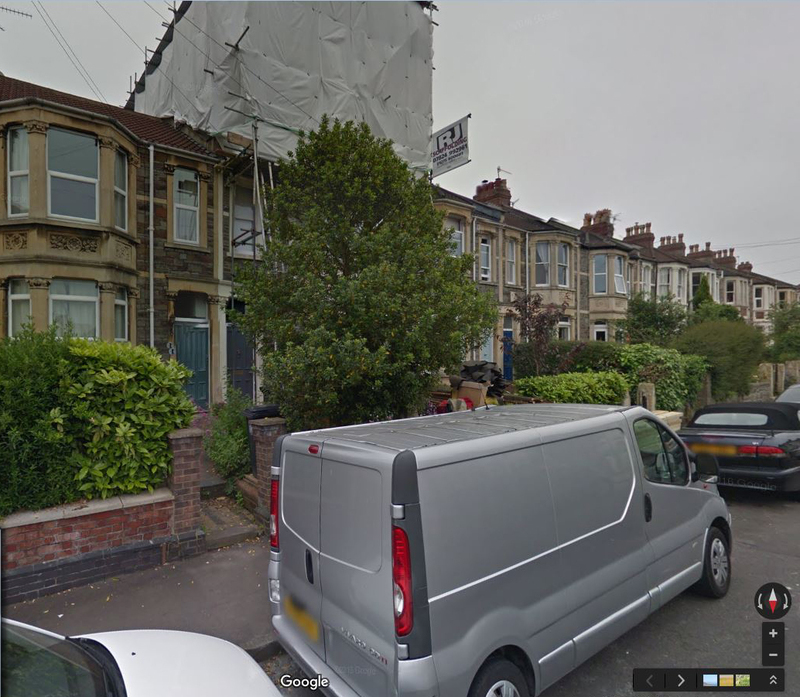 This entry was posted in News and tagged Bristol City Council, Corporate Property Insight Ltd, Haverstock Road, Planning permission, Property Services, Richard Fear, Service Manager (Property) Assets on December 6, 2016 by thebristolblogger.